When you’re a dancer, sweet sixteen isn’t just a birthday milestone, it’s the age you start thinking of how to begin your career. You’re two years from high school graduation, even less if you’ve sped up your courses. At sixteen, you might even start flying out to company auditions to gain experience and get seen by artistic directors. It can be pretty intimidating to get started though – How do you make a dance resume? How do you find ballet companies where you might be a fit and stand the best chance of getting a contract? How can you put together an awesome audition package with sophisticated videos and photographs that will really help get you a job? Rachel Neville, author of the popular and thoughtfully made Leotard Buying Guide, is here to help with these questions. A former dancer, Rachel is now a well-known dance and movement photographer in NYC. She’s going above and beyond to create free resources for dancers crossing this point in their careers. In her latest effort, Rachel talks candidly about a each step in the process from researching companies to ensuring you are presenting yourself in the most effective way possible. Subscribe to Rachel’s blog to be notified of new videos as they are published, and check out the latest edition below. Great FREE Webinar for Dancers! Dancers, don’t miss an opportunity like this one. Boston Ballet’s lovely Shelby Elsbree joins dedicated Health Coach Jessica Spinner from The Whole Dancer for a pre-Nutcracker gear-up for professional dancers and serious students. This online seminar will take place November 19, 2015, at 5pm PST / 7pm CST / 8pm EST – but even if you can’t make it, you’ll still get a copy of the webinar if you sign up! Learn about mitigating seasonal colds, improving self-care, creating dance/life balance and ensuring you have the right fuel intake for your demanding schedule. Join live or watch it later at your convenience, just don’t miss it! Auditions for Paid Studio Company Positions with Gelsey Kirkland! The Gelsey Kirkland Ballet, studio company for the Gelsey Kirkland Academy of Classical Ballet, is holding auditions this weekend for paid positions. Attendees will also be considered for the year-round professional and pre-professional training school. This is a must-go audition! Gelsey Kirkland Ballet Studio Company is under the artistic leadership of Gelsey Kirkland and Michael Chernov, whose vision is to maintain an ensemble company capable of realizing diverse and compelling theatrical ideas through specialized, comprehensive training and direction. Contracts are typically 32 weeks. The Gelsey Kirkland Academy of Classical Ballet is proud to announce that we will be holding an audition for our PAID Male & Female Studio Company positions and our year round professional and pre-professional academy programs. Please bring proper audition attire, pointe shoes, and an 8×10 headshot along with an action shot in arabesque. $35.00 Audition Fee. DVD auditions are accepted. The 2013 Summer Intensives list is posted! REMINDER: Please share your SI stories/reviews at Ballet Talk for Dancers, which archives this info for research by future students. If you are looking for info on an SI, make a free account there and you’ll have more info than you’ll know what to do with! Ballet in Film: Two PBS Specials! I am thrilled to see that PBS is making dance, particularly ballet, a big part of their fall and winter line-up. Starting this month, they will be airing programs from major American ballet companies that most of us would never have a chance to see otherwise. Kicking off the series is none other than Miami City Ballet, fresh from it’s blockbuster trip to Paris, with a mixed bill of crowd pleasing Balanchine and Tharp works on October 28. I don’t know about you, but I always prefer to see Balanchine performed by Balanchine style dancers, so I’m doubly excited for this show. Later in the season on December 16, look for San Francisco Ballet’s newer ballet, The Little Mermaid, by John Neumeier – but remember they used the Anderson version of the story, not the Disney one. Local air times for both of these programs will be available at www.PBS.org as the dates get closer. Just click “TV Schedules” (on the black navigation bar) and enter your zip and provider to get your local schedule. Once there, the easiest way to pull up ballet programs is just to enter “ballet” into the guide’s search bar (not the “Search PBS” bar). Bring on the ballet, PBS! 4 Butterflies: Older, taller girls from 12 to early teens; Off Pointe unless very strong on pointe. ACT II Variations: Corps de ballet with company soloists. No taller than 5’2”. To see details and requirements and schedule an audition in a U.S. town near you, visit http://www.nutcracker.com/Audition_Dates.php and follow the simple instructions to register. 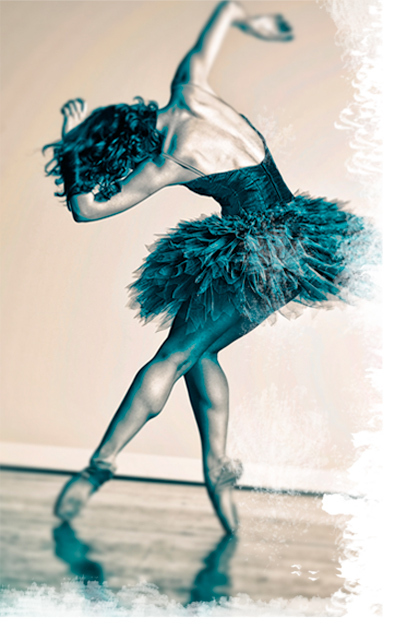 Canadian auditionees, visit http://www.nutcracker.com/Audition_Dates.php?canada=y. Update 8/17/11: Check out this article, out yesterday, about young dancers performing with the company in Romeo & Juliet and other ballets. Dear CBT: Does No Scholarship Now = No Contract Later? If a student is accepted into the last two years of a selective company school without a scholarship, is she less likely than those who did get scholarships to be considered for the company? Is it more likely that she will mostly serve to benefit the school as a paying student? Or will she be considered to have equal potential for entrance into the company or second company? I have been warned that only scholarship recipients move up into the company past graduation from these prestigious schools and have noted that most biographies of company dancers list their scholarship wins. My daughter was not present for the summer session that would have made her eligible for a scholarship. She was offered a scholarship for two consecutive years at another program but did not attend. How important are acquiring scholarships and making it to the YAGP finals for determining whether a company will seriously consider a student at their school for their company? If these accolades are not in place, will the student be overlooked for advancement, no matter how hard she tries?? Scholarships are only one indicator of a school’s interest in developing a student and their belief in her potential at that specific point in time. We cannot extrapolate that out to years in advance because future events depend on the student’s continued development. Students who are expected to do great things will sometimes disappoint, and students who seem average sometimes work their tails off and take the lead. While many pros list scholarships, many do not. Finally, artistic direction can change in a heartbeat, leaving former favorites looking elsewhere for jobs. YAGP and the various IBCs are a subject onto themselves. There is an endless amount of debate on their worth. Suffice it to say that they are one method that is great for particular types of dancers in particular situations (Vague enough for you? I’ll do a post on sometime to explain. ), but a huge segment of the professionals did not participate in those competitions during their training. Accolades like these indicate how the student performed during a snapshot in time. Certainly, those that succeed habitually tend to continue to succeed – that is why you see so many pros with such records. But these are not prerequisites to a good career, just indicators of possible career potential. Scholarship or YAGP placement or not, a dancer must continue to work hard, show her worth and improve. At the conclusion of training, the directors will decide whether the dancer should enter the company based on her capabilities at that time. I have cautioned people before that scholarships are great indicators of a school’s enhanced interest and the projected potential of a student at a particular moment in time – but they are far from a guarantee of anything. The same goes for the your situation. Getting into a top school without a scholarship (which is great on its own, by the way, and still show interest), is a valuable opportunity. Not getting a scholarship has no bearing on whether a dancer will be accepted into the company. Grimly perhaps, all students are facing those slim odds from an equal standing. What matters at the end of the training road is: Is the dancer fully prepared to give the current artistic director what the AD wants and needs in a performer at the same time that a contract spot is available?